Looking for some exciting gift ideas for train lovers? Let’s go for a ride together. Below we’ll take a look at some of the best train gifts on the interwebs for the ferroequinologist in your life. But first, a few notes on quality gift-giving. When you’re looking for something niche like this, keep in mind that a true aficionado will have a different perspective on what is interesting to them about trains, and thus what would make a good gift idea. Just because something says “train” doesn’t mean they will like it. What specifically about trains do they like? Have you taken a good look at their collection? What do they talk about, or wish they had? Is there a particular era, railway line, train type that is of interest? What sorts of things, in general, do they like? Would a trip to a museum or a good book be better? Do they like wall decor or t-shirts? That sort of thing. 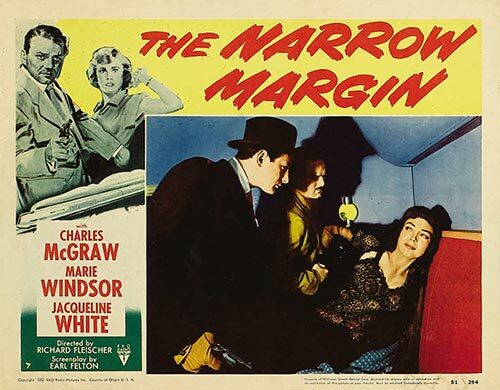 As always, if your gift is truly about and for the railroad lover, you won’t go too far astray. 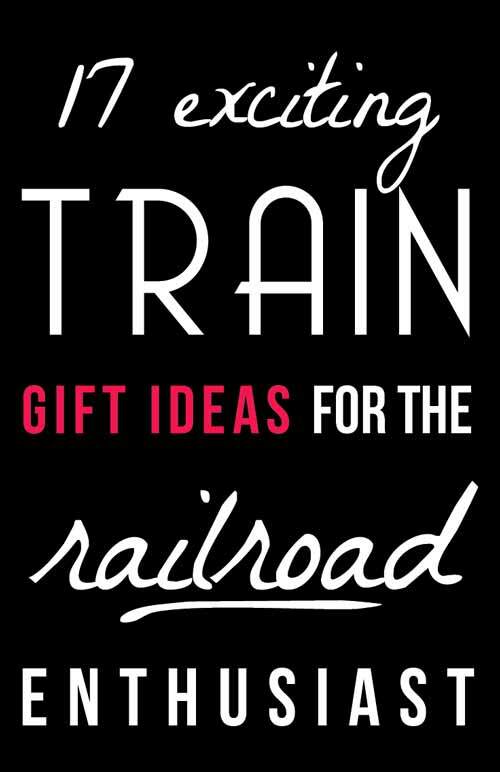 So without further ado, here are the 17 best train gifts for locomotive, railroad, and train enthusiasts. 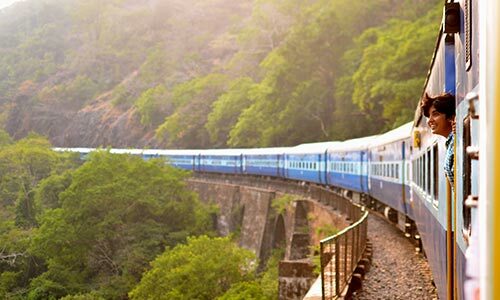 For geniune train lovers, nothing can be more exciting than the whistle and call of, “All aboard!” that signals the start of their very own train journey. 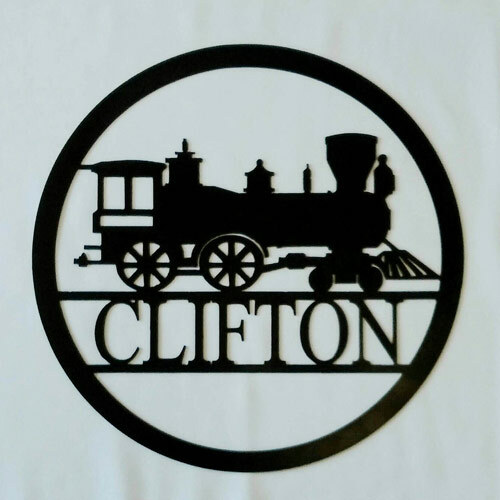 Here is a gorgeous, old-fashioned sign in the antique style beloved by train aficionados. What sets this train gift apart is that it is made in the USA from solid furniture grade wood and personalized to order. How cool is that?! Through Tickets at Reduced Rates! This is a classy, fun, and timeless gift that will be treasured by any railway enthusiast or model train collector. There are plenty more titles available; check out the 31 Greatest Train Movies of All Time for further train gift ideas. 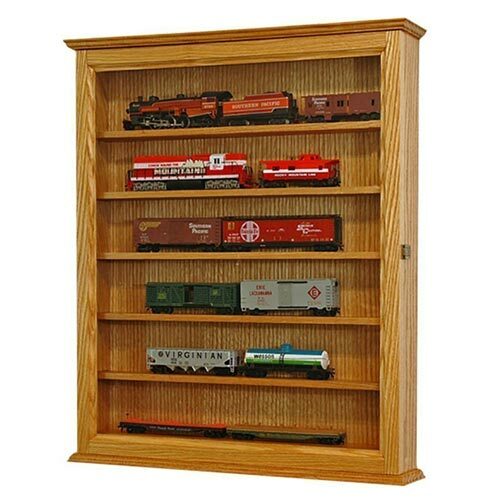 Here is a gorgeous wall-mounted Oak wood display case, made in the USA, designed to showcase your train lover’s model locomotive collection. This is just one of many ideas for model train collectors. We’re trying to keep this list from devolving into a model train aficionado gift list, so we’ll only mention a few items in this vein. 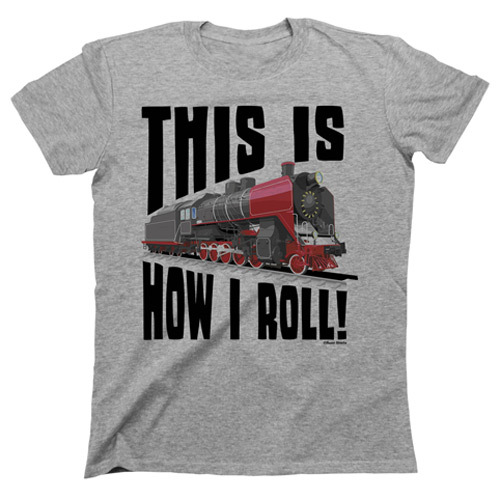 Hop on the party train and share your love for trains with the world! 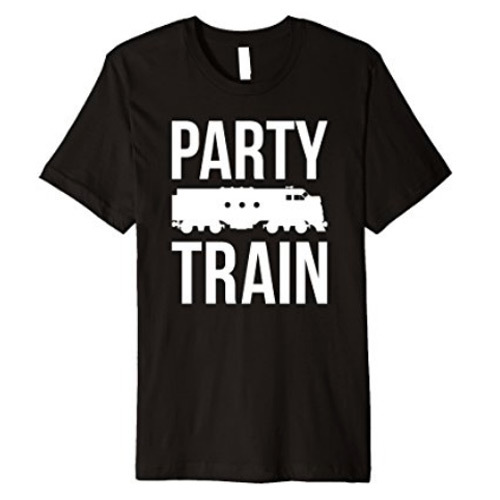 This locomotive party t-shirt is the perfect railroad gift idea for train lovers. This richly illustrated encyclopedia of classic and contemporary American railroads features concise histories of 101 U.S. and Canadian railroads past and present. Over 400 stunning images include period and modern photography in both color and black and white, evocative print ads, and system maps. 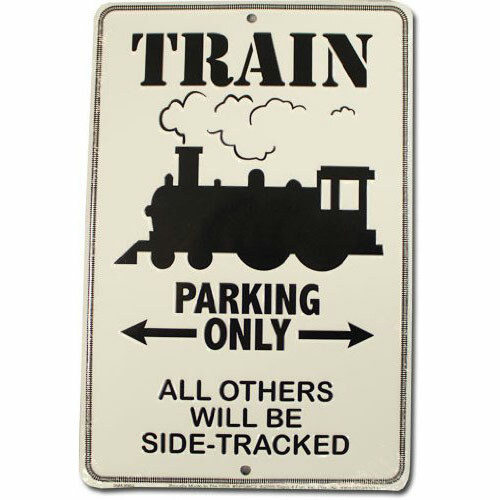 Train parking only – all others will be side-tracked. 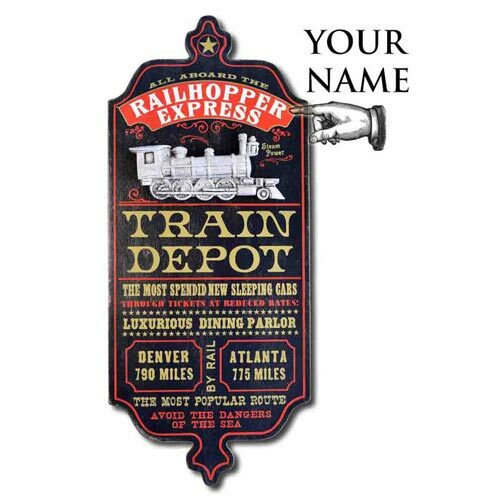 This large personalized train sign measures 20 inches in diameter, perfect for the first, last, or station name of any train enthusiast. 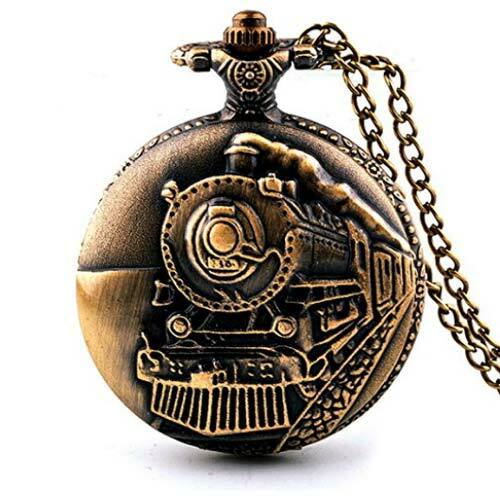 This old-fashioned train conductor pocketwatch is just the thing for an old-timey train gift. Affordable, yet fun, useful, and super-cool! Hand-forged and custom engraved railroad spike knife. 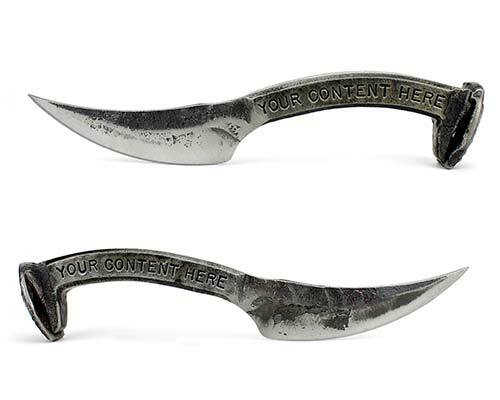 This beast of a blade is handcrafted out of a real railway spike, and can include your custom text hand stamped onto one or both sides. 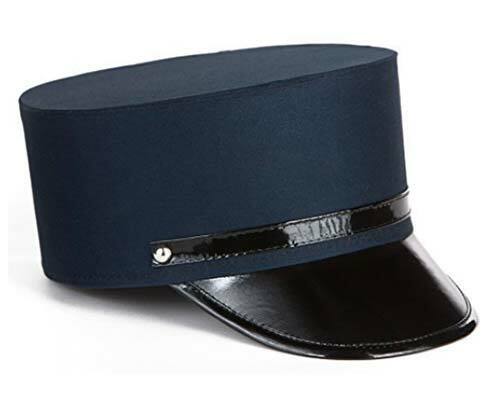 What is there to say about a conductor hat other than: If they don’t already have one, get it. If they don’t already have one, they will probably need a spare. The perfect train gift. 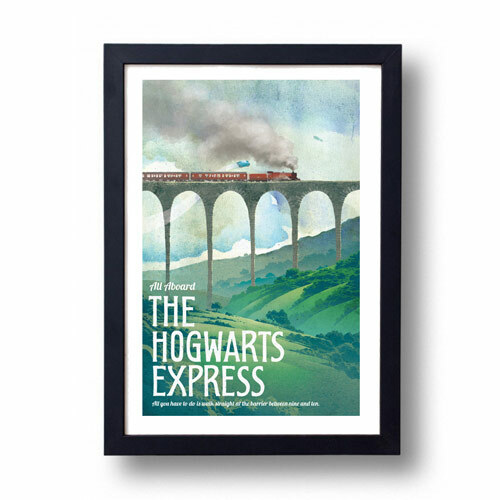 Double-dip with a train and Harry Potter themed gift idea, for someone who is into both trains and the Hogwarts universe. Nothing Like It in the World, bestselling author Stephen E. Ambrose spins an account of the building of the transcontinental railroad – an unprecedented feat of engineering, vision, and courage. It is the story of the men who built the railroad—the investors who risked their businesses and money; the enlightened politicians who understood its importance; the engineers and surveyors who risked, and sometimes lost, their lives; and the Irish and Chinese immigrants, the defeated Confederate soldiers, and the other laborers who did the backbreaking and dangerous work on the tracks. Anyone who takes a train journey needs a trusty travel bag. 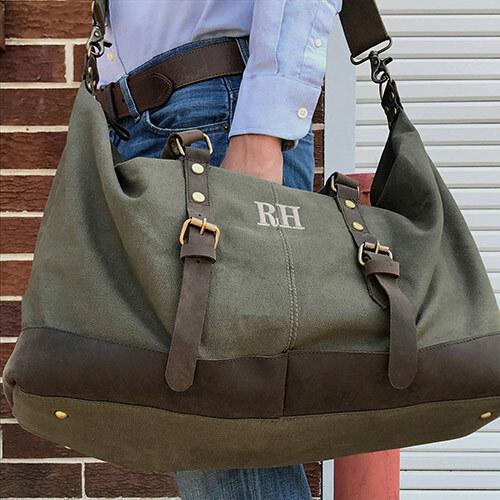 Bonus points for being personalized, with custom embroidery of monogrammed initials, this military-style travel bag is just the thing. Aws yeah, this is how I roll. Like a train. 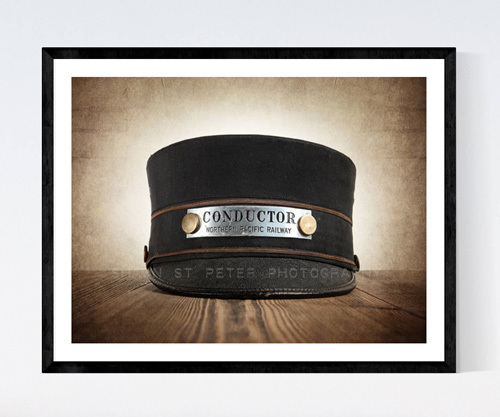 Choose photo or canvas print of this lovely old-fashioned train conductor hat photography art piece. The ideal decor accent for a model train display room. 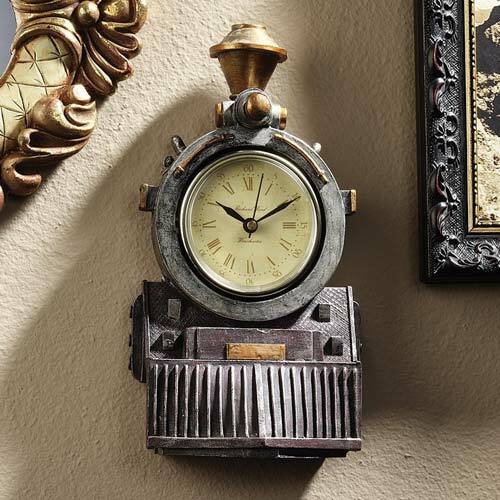 Hand-cast using real crushed stone bonded with designer resin and then hand-painted by in-house artisans, this train locomotive clock is a wonderful railroad gift idea.